Don't Face It Alone. When you're in a motor vehicle accident whether its a car accident, truck accident, motorcycle accident or even a boat accident, you suffer trauma and stress. An accident leaves you in shock and upset. The experience is especially disorienting if you've suffered a serious injury. During the stress of missing work, getting your car repaired and just trying to get over the physical pain and mental anguish of being in an accident, the insurance companies are calling you and conducting interviews and demanding information that might incorrectly place you at fault. They're also offering up sums of cash to settle the matter. The settlement they are offering may be far under what you need to make a full recovery and you are likely scared that they can raise your rates. That's why you need to consult an attorney. CALL 508-LAW-5000. We're here to help. We've handled thousands of serious and complicated accident injury cases. Our aggressive and steadfast representation leads to a quick and successful resolution of your injury case. Get the compensation you deserve! Founded in 1957, we have developed a reputation of excellence for for our concentration in accident injury law. We are dedicated to providing our clients with caring and compassionate representation. PSRB has decades of experience fighting the insurance companies, helping our clients receive the payment they deserve for something that just wasn't their fault. What should I do if I am involved in a motor vehicle accident? a pictorial description of the accident scene with directions of travel of all involved vehicles is most helpful. You must report the accident to your automobile insurance carrier and agent as soon as possible. This should certainly be done within one (1) business day of the incident. In most cases it is sensible to file a report of the accident with the police department of the town in which the incident occurred. How does Massachusetts automobile accident law affect me? If you are involved in an automobile accident, Massachusetts law provides a number of rights, benefits and procedures that affect how you recover for any losses or injuries you sustain. Your rights are governed by both statute and your insurance policy, the terms of which are often difficult to interpret. Your rights involve possible claims against the person who caused the accident and his insurance company, as well as for no-fault benefits to cover your medical care and lost wages from your own policy. In short, automobile law in Massachusetts involves a combination of claims processing, information gathering, advocacy in settlement negotiations, and perhaps court. If you are injured in a motor vehicle accident, your primary concern should be your health. On the other hand, the processing of your claim and preservation of your rights ought to be done by experienced professionals who can help you navigate this complex and highly regulated system. Massachusetts automobile accident law dramatically affects the extent to which you obtain remedies and relief if injured in a motor vehicle accident. 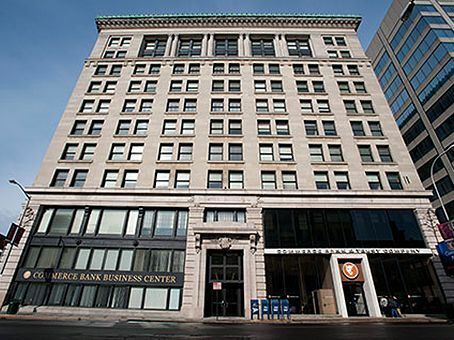 Our Worcester injury law office is located on Main Street in Worcester in the Commerce Bank Building. We are conveniently located just steps from the Department of Industrial Accidents and a short walk to the Worcester County District/Superior Court.